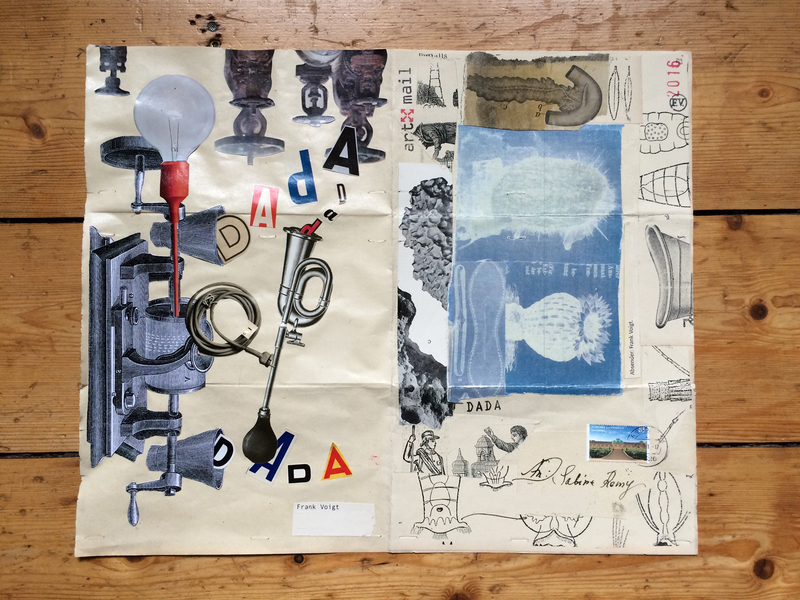 Dieser Eintrag wurde veröffentlicht in Collaboration, Collage, Dada, Mail Art und verschlagwortet mit Collaboration, Collage, Dada, Mailart von Sabine. Permanenter Link zum Eintrag. Oh this is a splendid idea you two to do this kind of exchange! I love the result! Thank you very much, Josephine! It was Frank´s idea – he is running this project for a while with different collage artist. This time he invited me.